Today I have a turkey tip for you. Lots of our American friends are preparing to celebrate Thanksgiving this week, and although we celebrated ours last month, turkey is a popular meat choice for Christmas as well. 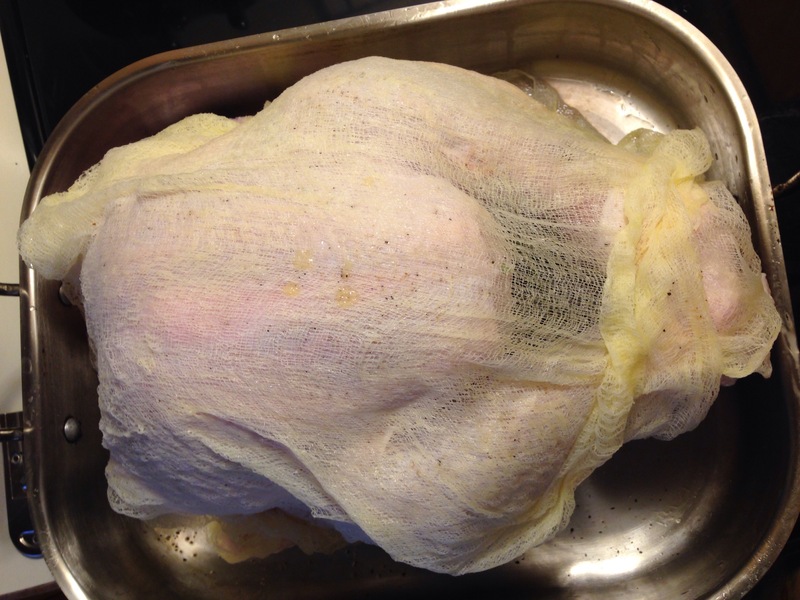 My best tip for getting a nicely browned, not dried out bird is to soak cheesecloth in melted butter and cover the bird with a double layer of it. As the bird cooks, keep basting the cloth every 30 minutes or so. 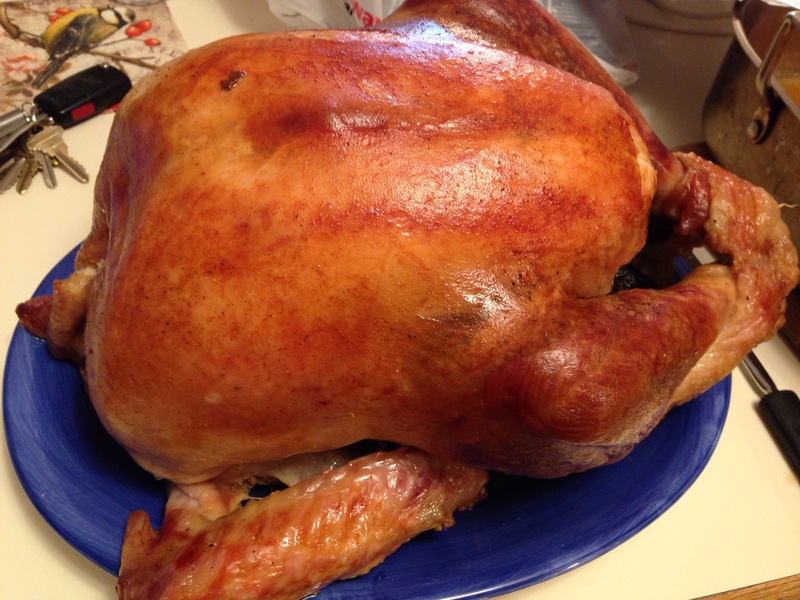 It holds the butter on the skin for longer than simply basting the bird’s skin. 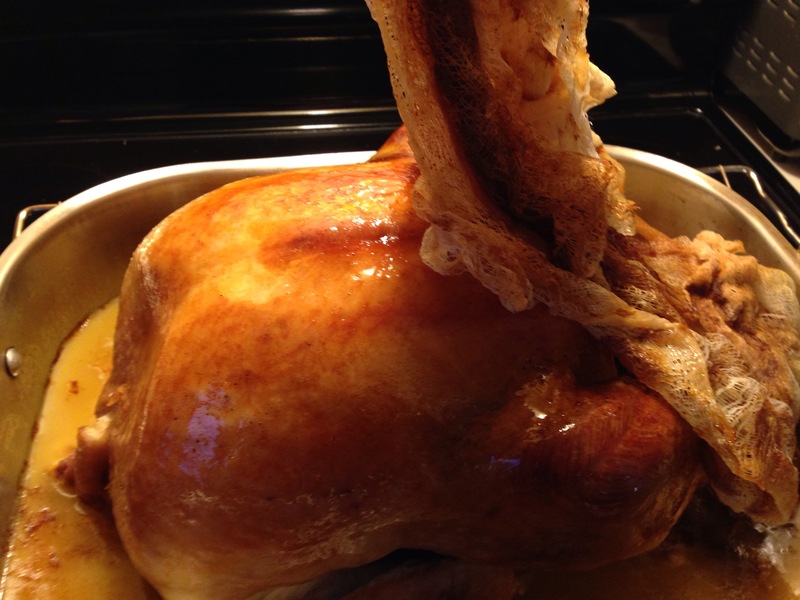 Make sure to give it a good baste before you slowly and carefully peel off the cheesecloth. I have done this the last 10 years or so and I really like the way it works.